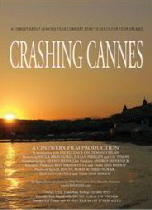 Educated at San Francisco’s Academy of Art University, in Film and Television Production, Gilbert Nash Pinon resides in London and Munich since 2003. Gil is an executive producer of the feature documentary BACK ROADS (2007) and feature films STAR CHILD (2007) and YOU, ME, LOVE (2009). He is currently producing THE SPIDER (2010), with several Oscar-winning cast and crew, and CRASHING CANNES (2011), in addition to Executive Producing two features in conjunction with e'topia films in New York, EVIE'S APPLE (2010) and ELIZA FRASER (2011). In addition, Gil was an executive producer for TV episodes of ‘Only in L.A.’, ‘Entertainment Today Television’ and ‘On the Road’ in Los Angeles. He is also known for lending his voice to the popular animated TV series and feature films of LETTERS FROM FELIX (2001-2002). 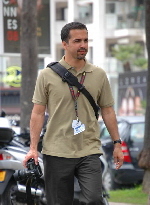 Gil is also a co-founder of Cinewerx Film Production, in Munich, and more recently, InspireMeArts Ltd, in London. 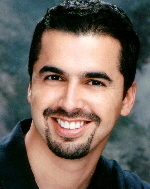 He can be found in the online Internet Movie Database (IMDB.com) under the name of Gil Pinon or Gilbert Nash.